The American Psychiatric Association’s 2011 annual meeting was held May 14-18 in Honolulu. The features below highlight some of the news emerging from the meeting. The Particulars: The United States Preventive Services Task Force has recommended screening patients with certain physical diagnoses for depression on the basis of previous studies showing an increased risk. However, little evidence is available demonstrating that these screenings lead to improved outcomes. The recommendation has recently been criticized for its lack of proven cost-effectiveness. 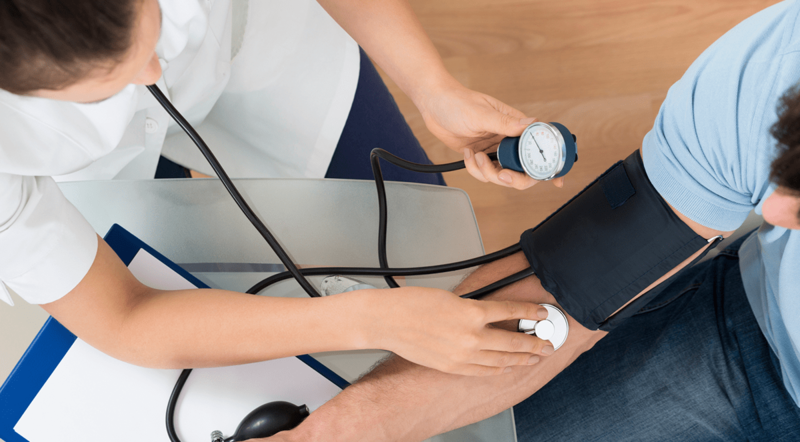 Data Breakdown: Researchers screened patients with certain physical diagnoses—including cardiovascular diseases, type 2 diabetes, COPD, and obesity—for depression. The PHQ-9 was administered to study participants. Patients whose screening results indicated at least mild depression showed no significant difference in the number of visits during the following year, compared with the year before. However, among those with negative screenings, the average number of visits declined after the screening. In the year before screening, the average number of clinic or hospital visits was 2.8 for non-depressed patients, compared with 2.7 after the screening. About 30% of positive screens led to actual contact with a nurse or psychiatrist. Among patients who had follow-up engagement, 44% had full remission and 29% had significant improvement in PHQ-9 scores. Take Home Pearls: Depression screening in patients with chronic physical diseases appears to reduce subsequent clinic visits. However, more research is needed as this finding resulted only in patients with negative depression screenings. The Particulars: Over the past decade, there has been an increasing use of atypical antipsychotics for non-FDA-approved indications. Outpatient visit rates for second-generation antipsychotics in patients under the age of 20 quadrupled between 1997 and 2002. Few data are available on atypical antipsychotic use in younger inpatients. Data Breakdown: Researchers examined 3,851 inpatients aged 5 to 17 for various psychological diagnoses in a single-center study over a 10-year period. About 44% of these patients with a variety of conditions were treated with either first- or second-generation versions of atypical anti­psychotics. A higher proportion of prescriptions were written for children between the ages of 5 and 12 (51.7%) than for adolescents aged 13 to 17 (41.7%). Atypical antipsychotics were also more likely to be prescribed to males, non-Caucasians, and those with longer lengths of stay. Second-generation atypical antipsychotics were more commonly prescribed than first-generation drugs, accounting for 94% of prescriptions. In general, use of atypical antipsychotics decreased over the study period, from 47% between 2001 and 2003 to 43.5% between 2006 and 2010. Take Home Pearl: Nearly half of children treated as inpatients for psychotic and mood disorders appear to be given atypical antipsychotics. The Particulars: Large epidemiologic studies have shown a relationship between diabetes and depression, but the precise nature of this relationship is still unclear. Sulfonylureas are a class of antidiabetic drugs that are used in the management of type 2 diabetes. They increase insulin release from β-cells in the pancreas. Little is known if sulfonylureas play a role in depression among individuals with diabetes. Data Breakdown: A study was conducted to determine whether the odds ratio (OR) for concurrent use of antidepressants when receiving oral anti-diabetic agents varied according to the type of hypoglycemic agent used. Use of a sulfonylurea only had the lowest OR for co-prescription with an antidepressant (OR, 1.27), followed by use of a sulfonylurea and biguanide (OR, 1.31) and use of a sulfonylurea, biguanide, and glitazone (OR, 1.49). Take Home Pearls: In addition to their insulin-releasing properties, sulfonylureas appear to also have antidepressant effects. Patients who are prescribed sulfonylureas alone appear to have the lowest likelihood for concurrent co-prescription with an antidepressant. Prospective studies that investigate the role of sulfonylureas for depression are warranted. The Particulars: Adequate sleep is important for teenagers and adolescents because it can have an impact on growth, mood, immunity, and other health issues. Various types of media may have an impact on sleep patterns and how they affect health in teenagers. Data Breakdown: In an analysis of data from the Youth Risk Behavioral Survey 2009 on 16,410 high school teenagers, investigators asked participants to report media usage. Video game and internet usage was one category, while TV watching was a separate category. Heavy usage was defined as 3 or more hours per day. Participants who slept for fewer than 7 hours per night were more likely to report heavy video game/internet use (odds ratio [OR], 1.6). Those who failed to get at least 7 hours of sleep were also less likely to meet physical activity requirements (OR, 0.7). Watching TV appeared to have no role in the duration of sleep in the study. Take Home Pearls: Teenagers who sleep less appear to be more likely to report heavy use of video games and internet browsing rather than hours of TV watching. Future studies should aim to understand how media time can affect sleep and subsequent outcomes. The Particulars: There is anecdotal evidence suggesting that primary care physicians (PCPs) sometimes have more biological views on depression whereas psychiatrists tend to have a more psychological view on the condition. Standard outcome measures for depression are often those suggested by regulatory bodies and focus mainly on decreasing depressive symptomatology. However, other aspects of depression may be overlooked, despite their importance in the care of patients. Data Breakdown: A survey was conducted among PCPs and psychiatrists to assess opinions on what outcomes they see as important in defining “cure” from depression and their attitudes about depression and its treatment. PCPs who believed more in psychotherapeutic approaches to depression reported that treatment of depression was more rewarding, whereas psychiatrists who believed more in pharmacotherapy for depression found that treatment of depression was more rewarding. Psychiatrists were more apt than general practitioners to report prescribing antidepressants to more than 50% of their patients (69% vs 37%). In logistic regression analysis, the attitude factors of general practitioners, but not psychiatrists, were significantly associated with rates of anti­depressant prescribing. Take Home Pearls: PCPs and psychiatrists appear to have similar views on what criteria are important in defining “cure” from depression, but differ in their overall attitudes about depression. These findings may help improve clinical practice because they demonstrate that physicians’ own personal attitudes and beliefs play an important role in how they treat patients with depression. For more information on these items and other research that was presented at the meeting, go to www.psych.org/annualmeeting. PreviousMalpractice Payments at All-Time Low?